I haven't been able to regularly buy magazines for the past few years, mainly because I now spend more time in front of the computer. Thus, I get to read informative and entertaining materials off the internet, and also from my tablet and mobile phone. 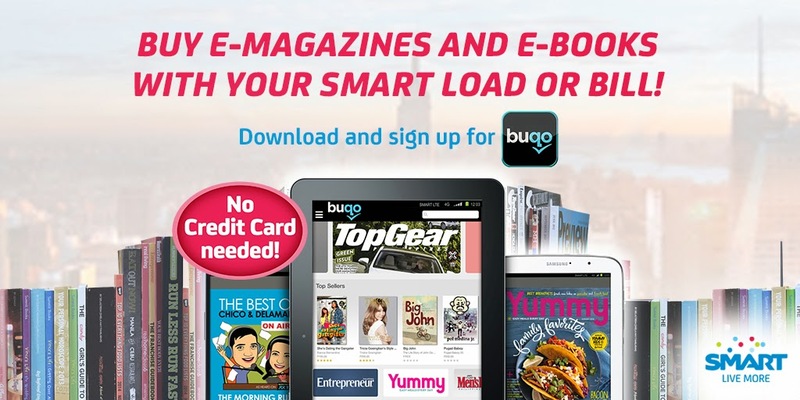 Good news for people like me, Smart Communications recently tied-up with Summit Media to offer subscribers easier access to e-books and e-magazines with Buqo app and pay with Smart! 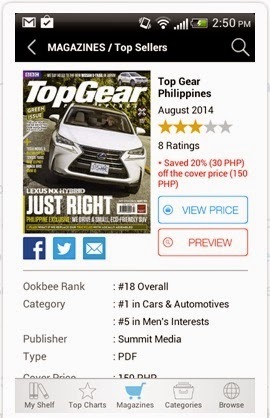 I was actually excited to get the Buqo app immediately since I can now get copies of some of the Summit mags I used to buy, like Yes!, Preview, Yummy, and Good Housekeeping. I simply charge it to my Smart postpaid account on an android phone. It's that easy! Have I convinced you yet? Buqo is a mobile bookstore, newsstand, and reader app all rolled into one. It's currently available for both Android and iOS users. 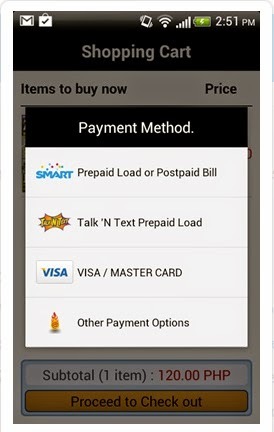 Pay using Smart Prepaid load or charge to your Smart Postpaid bill - this is the best part, 'coz it's so convenient! How cool is that?! And there's more -- Smart will soon offer special rates and deals for books and magazines that will be exclusively available to Smart subscribers. Yey!!! The Buqo mobile app with Smart operator billing is currently available for Android devices. Click here for a simple step-by-step: http://smart.com.ph/buqo. Download Buqo app now! Buy your e-books and e-mags with your Smart load or bill and enjoy reading on your mobile devices.